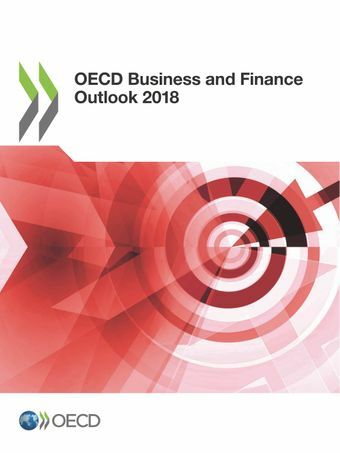 The OECD Business and Finance Outlook is an annual publication that presents unique data and analysis on the trends, both positive and negative, that are shaping tomorrow’s world of business, finance and investment. Using analysis from a wide range of perspectives, this year’s edition addresses connectivity, both among institutions within the global financial system and among countries. Almost a decade on from the 2008 financial crisis, the Outlook examines new risks to financial stability that will put financial reforms to the test, focusing in particular on the normalisation of monetary policy, debt problems and off-balance sheet activity in China. With respect to connectivity among countries, the Outlook examines the new phase of globalisation centred on Asia/Eurasia, using China’s Belt and Road Initiative as a case study. It argues that this ambitious development plan has a number of economic issues to look out for, and that it would be best carried through with transparent “rules of the game” that will help ensure a level playing field for all. 3 September 2018 - A new OECD report, the 2018 Business and Finance Outlook, highlights a number of major risks having the potential to disrupt global economic growth. It notes that the gradual normalisation of monetary policy in an environment of growing debt will be a major test of whether the Basel III regulatory reforms have achieved their goal of ensuring safety and soundness in the financial system.